Want to be notified of new releases in kdex/rmap? 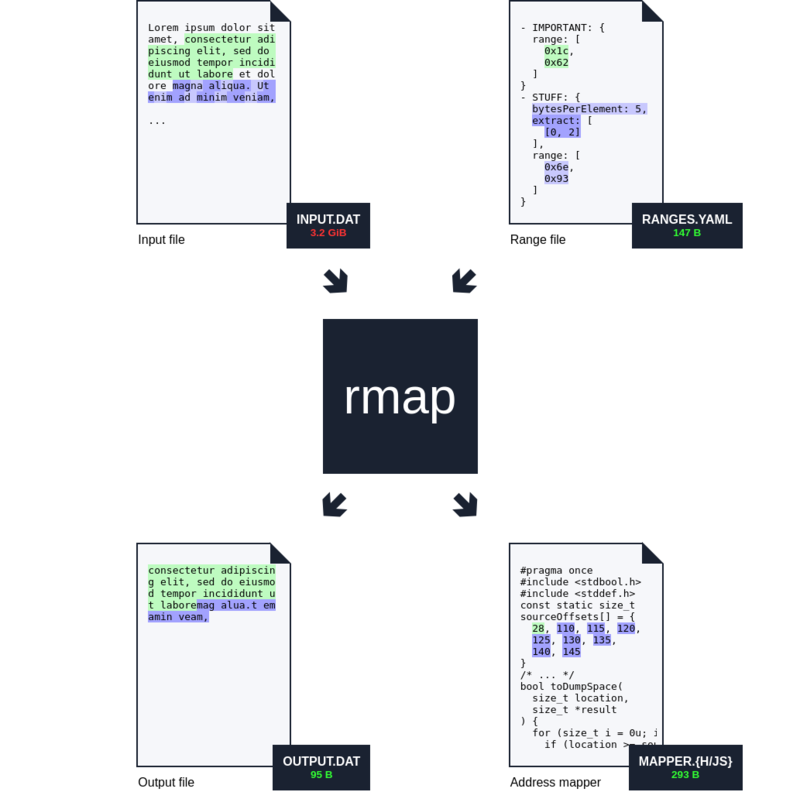 rmap is a range extractor and address mapping generator. It can be used to significantly reduce the filesize of arbitrary files without changing the code that accesses them. To achieve this, rmap doesn't compress your file, but rather extracts specified byte ranges which are then contiguously placed in a dump. Moreover, rmap generates an address mapper that takes the original file offset address and maps it to a dump file offset address. Depending on the options provided, the address mapper can be emitted as a C/C++ header file or as an ECMAScript module. The generated files can be consumed as headers/modules. * `location` denotes a location that you need to map to a dump address. * `mappedLocation` will contain the result, if successful. * The return value is `false` when the lookup has failed. * The return value is the dump address. * If `location` is not in the dump, this function throws. * Input and output values are of type `Number`.